The Composite Dairy Cattle Registry is celebrating 5 years of service to owners and breeders of “non-traditional” dairy breeds in North America (USA and Canada), the UK and other countries. 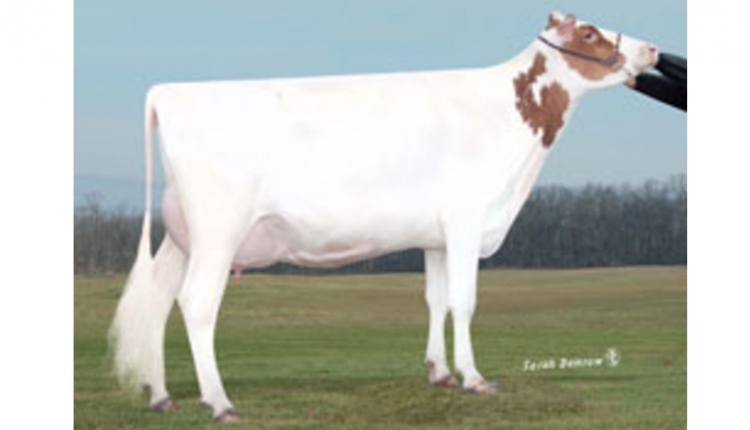 Breeds represented in the registry are Milking Fleckvieh, Montbeliarde, ProCross, Viking Red’s, Norwegian Reds, the still developing North American Red along with other crosses and with our open herdbook the traditional dairy breeds. In celebration of our 5-year anniversary we are offering very special pricing during August 1st thru the 31st, 2018. Registrations for animals of any age can be registered for $5 USD each. Membership in the Composite Dairy Cattle Registry is $10 USD for Juniors and $25 USD for Individuals, Partnerships/Syndicates and Corporations. Visit our website www.dairycattleregistry.com for membership and registration applications. Our Mission: To provide programs and services that enhance the economic and genetic potential of Composite Dairy Cattle. We pledge to strive for the success of our members and the dairy industry by creating marketing opportunities that add economic value. Currently, we have over 300 bulls listed on our website in the “Bull Listings” with cross reference information. This list is continually growing. Our membership includes members from the USA, Canada, UK and other countries. Why should you register your animals? Registering your animal provides documentation on their parentage that aid in tracking an animal’s heritable traits. Also, a registration certificate has the potential to add value to your animal and its offspring. Become part of a growing organization! Interest in crossbreeding continues to grow in use and popularity not only in North America (USA and Canada) but in other countries as well. Through the dairy organizations and their International representation, dairy associations and registries of the US will increase their International presence in other countries. Increasingly, the US will become the genetic pool from which the International dairy community will continue to draw. This would indicate that the worldwide activity of US dairy organizations will expand in the future, serving both the domestic as well as International interests. By networking together with other owners of “non-traditional” breeds and crossbred animals, as the old saying goes “there is strength in numbers”, then the voice will get louder and carry more weight. The Composite Dairy Cattle Registry is continually searching for solutions and improvements in the system and working toward building bridges between different segments of the dairy industry. So, PLEASE take the time to visit our website, www.dairycattleregistry.com, and while you are there, go to our “Fees and Forms” page and print out a membership application and join today!